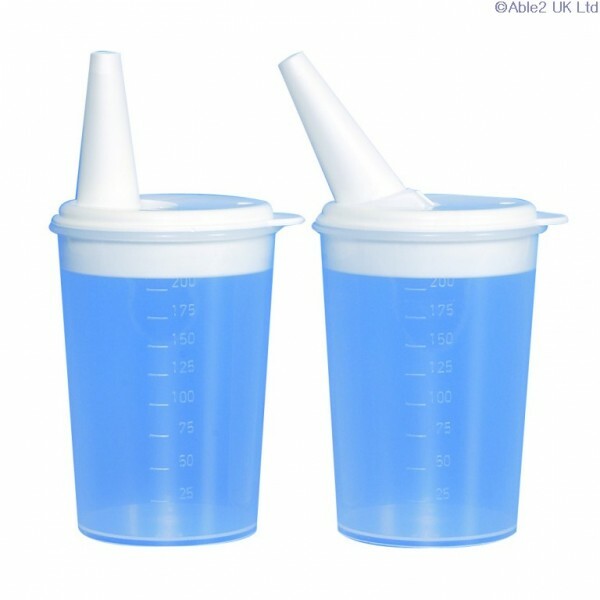 This plastic feeding cup has a spouted lid which if required can be clicked to create an angle when drinking. 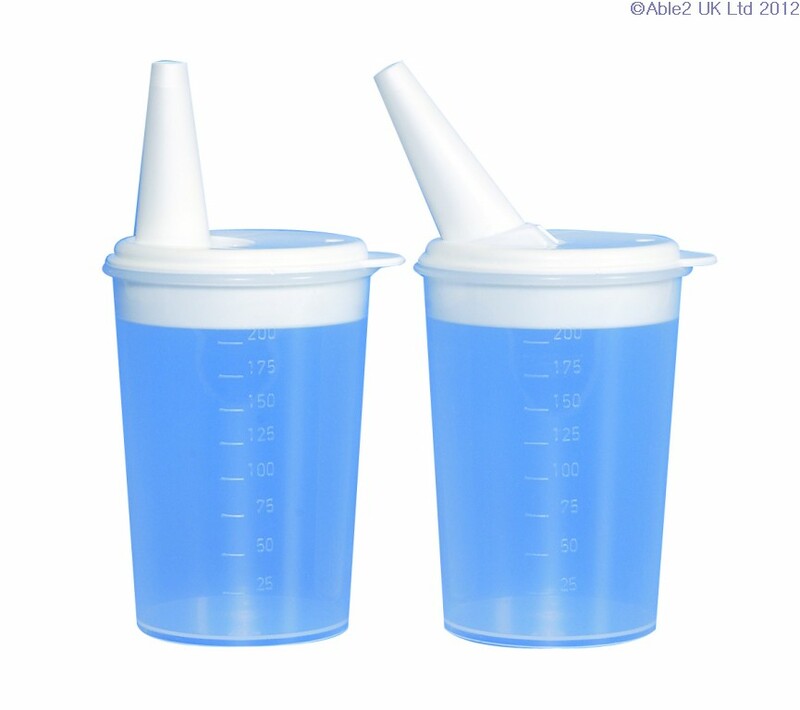 Lids available separately with either 4mm or 8mm spout hole. Dishwasher safe.